Comment: House is empty and needs the carpets cleaned in three bedrooms and stairs. I need this done by April 17, 2019. Comment: I would like to get an estimate for We moved into a home that had custom drapers at each window. I need them cleaned and rehung on the windows, with the exception of the ones, not taken down. Comment: Moved into 4 year old home. Realized after moving in, previous owner had cats. I am allergic and developed asthma and now on inhaler and medicine as well as purchased hepa air filter fans to place throughout house. Allergist recommended carpet replacement but expensive. Curious to learn if a hepa vaccum and deep clean could remove cat dander so my allergies and asthma settle to be able to breathe in home without complete carpet replacement. 2100 sq ft of carpet; all upstairs and master down and office down. Thank you for letting me know if this is something that could sufficiently remove dander or if carpet replacement best bet. Comment: We moved into a home that had custom drapers at each window. I need them cleaned and rehung on the windows, with the exception of the ones, not taken down. Tomball Carpet Cleaning Services are rated 4.71 out of 5 based on 2,082 reviews of 22 pros. 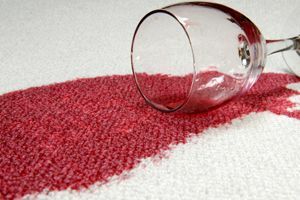 Not Looking for Carpet & Upholstery Cleaning Contractors in Tomball, TX?